A study performed by Forbes Insight on behalf of CIT Group, Inc., found that among middle market healthcare executives, support for the Affordable Care Act has significantly declined. Earlier studies showed that middle market execs approved of healthcare reform by a 2-to-1 margin. Now, 37 percent of those surveyed oppose ACA, and 32 percent are uncertain about whether or not they support healthcare reform. Certain sectors of the industry do support reform. Healthcare IT providers and hospital medical centers express positive views of ACA. The majority of the industry supports some aspects of ACA including Medicaid expansion, health insurance exchanges and better access to health insurance for all Americans. The major concern related to healthcare reform is overregulation. Three out of five execs said that their healthcare industry segment was overregulated, while 59 percent said that regulation negatively affected performance. While they express opposition to regulation, 54 percent of execs reported revenue increases for their companies over the past 18 months. Additionally, 52 percent expect growth next year, 28 percent expect no change and 20 percent expect revenue to languish. 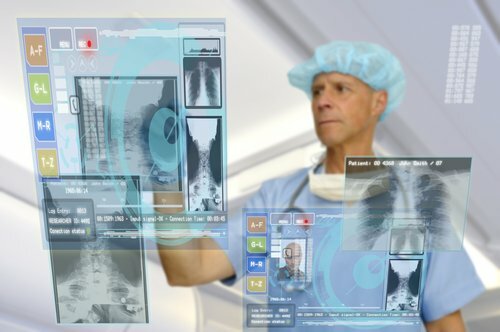 Growth will come from certain healthcare industry trends, including advances in healthcare technology. These advances have improved treatment options and have increased efficiencies within the healthcare system. Another factor is simple demographics. Sixty-five percent of execs say that the aging American population had led to an increased demand for services. About one-third of execs expect acquisitions to be an important component of growth, and one-third will seek significant financing this year. Reasons for seeking financing include investing in new technologies or patents (39 percent), increasing working capital (31 percent) and new plant and equipment investments (28 percent). Within the medical device industry, execs expect mergers and acquisitions to be of particular importance. About 59 percent of respondents describe M&A as either important or very important. "While there is an intense feeling of overregulation, healthcare executives remain confident of their future growth potential," said Steve Warden, who is president of CIT Corporate Finance, Healthcare. The report's is entitled "U.S. Healthcare Outlook: Strong Performance Amid Healthy Capital Investment."